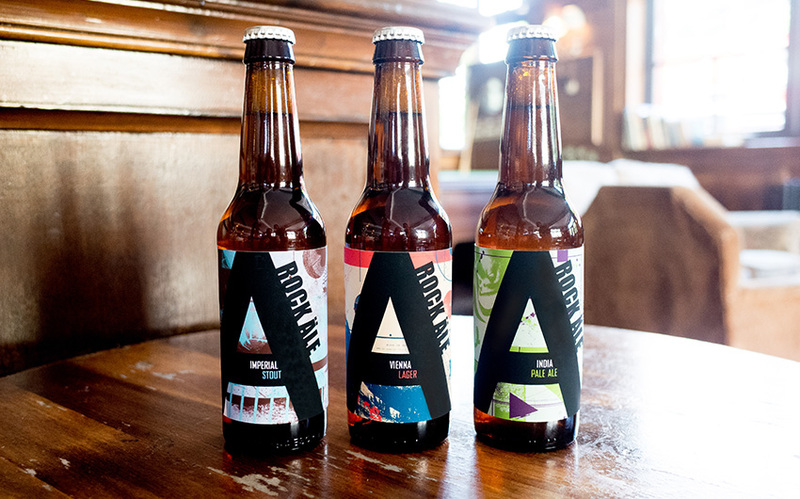 Identity and packaging design for new beer brand, including a bold progressive logotype, gives Rock Ale Craft Beer standout in bar environments. Creative young brewers and radical flavours have made people excited about beer again. Britain is now firmly in the grip of its own craft beer revolution. 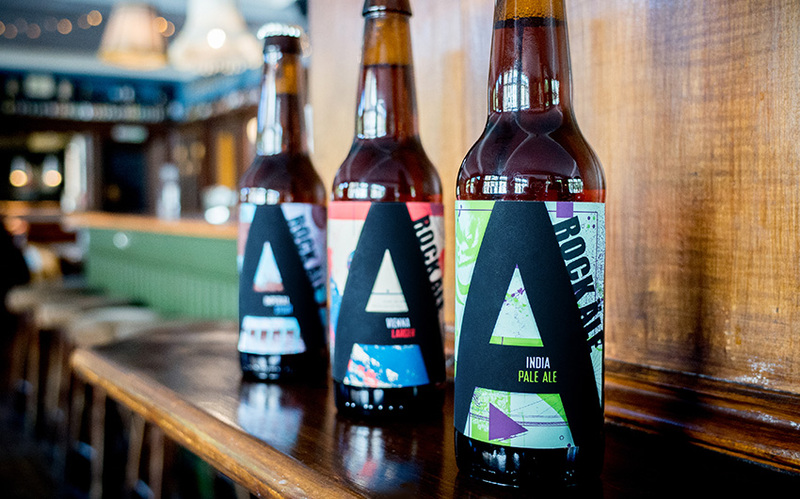 Tasked with creating a dynamic look and feel for the new brand, we took inspiration from the principles of craft beer: experimentation, character, flavour and depth. 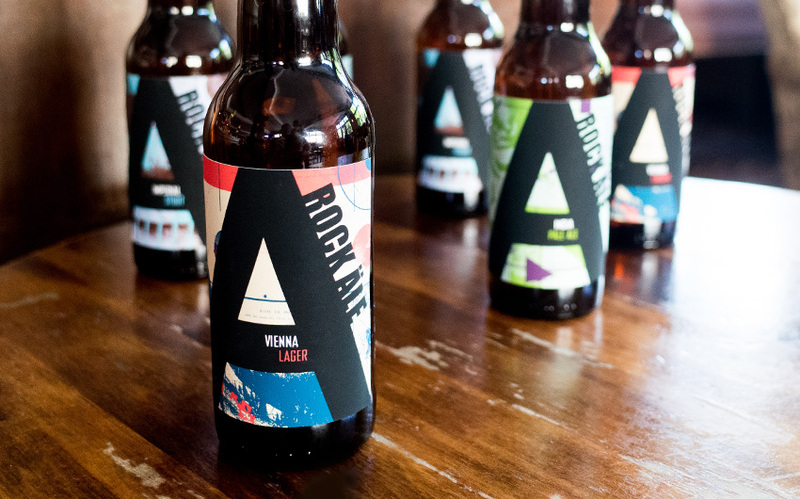 So we designed an intriguing set of labels each with an element of discovery. And we coupled this with a bold and progressive logotype to create standout in bar environments. 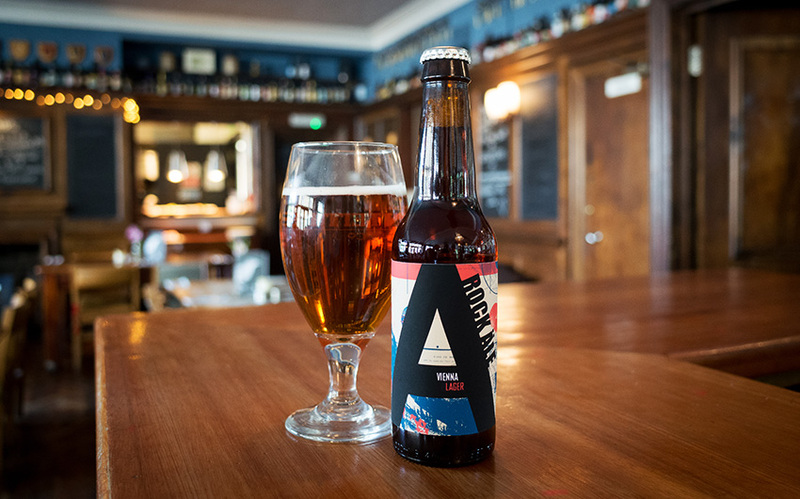 The oversized ‘A’ amplifies the name Rock Ale and communicates it’s brewing origins in the mountains of Austria.